Father Theodore Hesburgh, the former president of the University of Notre Dame, passed away Thursday night at the age of 97. The former president oversaw historic transformations in Catholic higher education and worked diligently to ensure the advancement of civil rights. The University of Notre Dame saw dramatic changes throughout his 35 year tenure. Notre Dame doubled its enrollment and faculty size, saw a massive construction boom on campus, and expanded its endowment from $9 million to $350 million. Under Father Hesburgh’s leadership, the formerly all-male university began admitting female students in 1972. “Notre Dame would lose all its credibility in the United States, and so would I, if an official in Rome could abrogate our academic freedom with a snap of his fingers,” Hesburgh wrote, as quoted in the Washington Post. Father Hesburgh also made great contributions outside of the university. He served as chairman of the Civil Rights Commission, marched with Dr. Martin Luther King, and worked to eliminate the proliferation of nuclear weapons. Remembrances of Father Hesburgh poured in from across the country Friday as news broke of his passing. Below, we have statements from two United States Presidents, a Secretary of State, and local leaders. For 40 years, I have been blessed by the friendship and inspirational counsel of Father Theodore Hesburgh. Father Hesburgh has devoted his long and consequential life to serving humanity, always taking courageous stands on the serious moral issues that have faced our nation and the world–from his fight for civil and human rights and against nuclear proliferation and global hunger to his ongoing efforts to seek peace among people in conflict. As has every U.S. president since Eisenhower, I had the privilege of his advice and personal service when I was in office. His invitation for me to deliver Notre Dame’s Commencement address early in my Presidency provided a forum to inspire a new generation with the concept of human rights. His vocal concern regarding the treatment of immigrants led me to name him chair of the Select Committee on Immigration and Refugee Policy, and his recommendations served as the basis of crucial congressional reform legislation. Following up on a humanitarian fact-finding mission to the former Vietnam war zone with my wife Rosalynn, Father Hesburgh helped spearhead relief efforts that averted mass starvation among Cambodian refugees. Because of his progressive views about the role of science and technology in world development, I appointed him U.S. ambassador and chairman of the U.S. delegation to the U.N. Conference on Science and Technology for Development, the first time a priest had served in such a diplomatic role. He succeeded beyond expectations in all these tasks. Father Hesburgh has made the world a better place–for those of us whose lives he has touched directly and as an inspiration for generations to come. Michelle and I were saddened to learn of the passing of Father Ted Hesburgh. During his lifetime of service to his country, his church, and his beloved University of Notre Dame, Father Hesburgh inspired generations of young men and women to lead with the courage of their convictions. His deep and abiding faith in a loving God, and in the power of our shared humanity, led him to join the first-ever United States Civil Rights Commission, and join hands with Dr. King to sing “We Shall Overcome.” His belief that what unites us is greater than what divides us made him a champion of academic freedom and open debate. When I delivered the commencement address at Notre Dame in 2009, I was honored to thank Father Hesburgh for his contributions to our country and our world. Father Hesburgh often spoke of his beloved university as both a lighthouse and a crossroads – the lighthouse standing apart, shining with the wisdom of the Catholic tradition, and the crossroads joining the differences of culture, religion and conviction with friendship, civility, and love. The same can be said of the man generations of students knew simply as “Father Ted.” Our thoughts and prayers are with his family, his friends, and the Notre Dame community that loved him so dearly. This is a day of both personal sadness and celebration of a singular life. I will sorely miss Father Ted, my friend and mentor of 40 years. His commitment to education and social justice was infectious and I am grateful for having experienced his common touch, his sense of humor, his love of learning and his passion for Notre Dame. When my father died, Father Hesburgh wrote to me that my dad was now “resting in the loving hands of our savior, bathed in the light of eternal life.” Now too, does our beloved friend. Rest well, Father Ted. 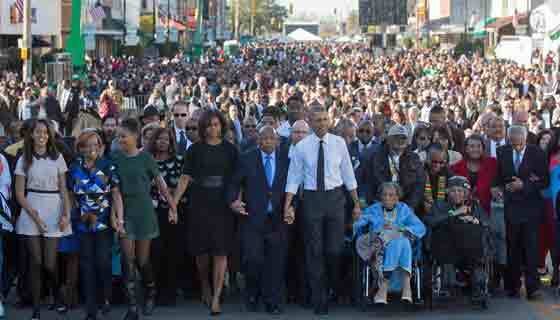 You showed us what it meant to be a faithful servant and made our country and the world a better place. Your memory and spirit will live on at Notre Dame and in each of us who had the honor to know and love you. Father Theodore M. Hesburgh, C.S.C., the longest-serving president of the University of Notre Dame, died last night at Holy Cross House, here on the campus of his beloved University. He was 97 years old and 71 years a priest with the Congregation of Holy Cross. I extended my heartfelt condolences to the Hesburgh family, to my brothers in the Congregation of Holy Cross, to the University of Notre Dame family and to all those whose lives were touched and enriched by Fr. Hesburgh’s remarkable life and ministry. Fr. Hesburgh was the 15th president of the University of Notre Dame, from 1952 until his retirement in 1987. Next to the University’s founder, Fr. Edward Sorin, no one had a greater impact on this University. He was one of the nation’s most influential figures in higher education, the Catholic Church and national and international affairs. Serving four popes and nine presidents, Fr. Hesburgh was a moral force in virtually all major social issues of his day, including civil rights, peaceful uses of atomic energy, campus unrests, third-world development and immigration reform. Whatever else we may say about Fr. Ted, he was a priest and a man of faith who had a confident hope in God’s love and the promise of eternal life. We believe he is now with the God he served so faithfully and in the arms of Notre Dame, Our Lady, whom he was so devoted to. Notre Dame lost a piece of its heart last night, but Fr. Ted lives on at Notre Dame and among the millions of lives he touched around the world. Indiana has lost a man of unwavering faith, profound vision and monumental virtue in the passing of Father Theodore Hesburgh. An advocate for human and civil rights, education opportunity, and diplomacy both here and abroad, Father Hesburgh’s accomplished life epitomized servant leadership and made a critical impact in advancing and bettering our world. His legacy will endure always and, without doubt, will continue to inspire individuals across the world to pursue a life of peace and justice. The First Lady and I extend our deepest condolences to his family, the University of Notre Dame community, and all who knew and loved this exceptional Hoosier leader. Father Ted Hesburgh was an extraordinary leader. He touched countless lives, including mine, with his intellect, faith, and decency. He will be remembered for his visionary understanding of how to build a world-class university, and also for his great courage in historic moments like the civil rights movement. South Bend will join the University and the country in remembering Father Ted. We will honor his memory by striving always to be and do more than we had thought was possible. Back in 1973, a young man caught a lucky break that changed his life. That young man was me, and it was my acceptance letter to the University of Notre Dame and it opened up the gates of opportunity for me. Last night, the beloved President Emeritus of Notre Dame, Father Ted Hesburgh, passed away at the age of 97. On his last day, Father Ted said Mass in the morning and passed away 12 hours later. He counseled Presidents and Popes, but he was first and foremost a priest – one who ministered to the homeless, the poor, and those in need. And that is when he was also happiest. We were so lucky to have him touch our lives, and those of us in Indiana were fortunate enough to experience him as our friend and neighbor. 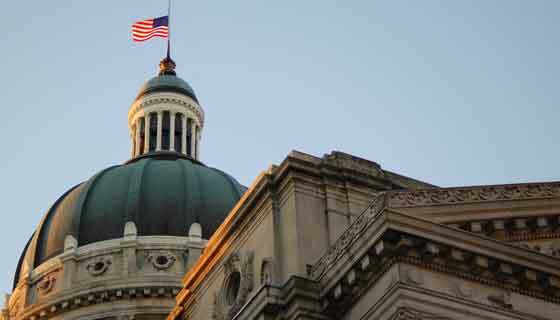 Nobody who walked the streets of South Bend could forget Father Ted driving around in his little Ford Mustang, giving a wave to everybody he saw. Our country and the world is a better place because of Father Ted. He loved his God, his Country, and Notre Dame, and he ministered to anyone who asked him for help. Father Hesburgh grew up near Syracuse, New York and he was ordained and became a priest in 1943. He promptly asked that his first assignment as a priest be as the Chaplain of a naval aircraft carrier. The leaders of the Holy Cross religious order were not surprised, they knew of Father Ted’s great patriotism, his love of the United States Navy, and devotion to our service members. However, they asked him to stay at Notre Dame and minister to the families and service members who were training at that time at Vetville at Notre Dame. As always, Father Ted smiled, took the assignment, and worked nonstop. That began a journey that included the Presidential Medal of Freedom, the Congressional Gold Medal, 16 presidential appointments, and 150 honorary degrees. But, more important to Father Hesburgh than all of those awards were the millions of souls he nourished, said Mass with, prayed for, and guided to a wonderful life. When you look at Father Ted’s amazing accomplishments at Notre Dame, you can’t help but see what a stronger academic institution and better and more inclusive place it has become and that he left behind. Father Ted broke down the barriers and admitted women to Notre Dame back in the early 1970’s. It changed the place forever and it made Notre Dame a home for everyone. My wife and daughter, both of whom graduated from the University, were direct benefits of his wisdom and his vision. 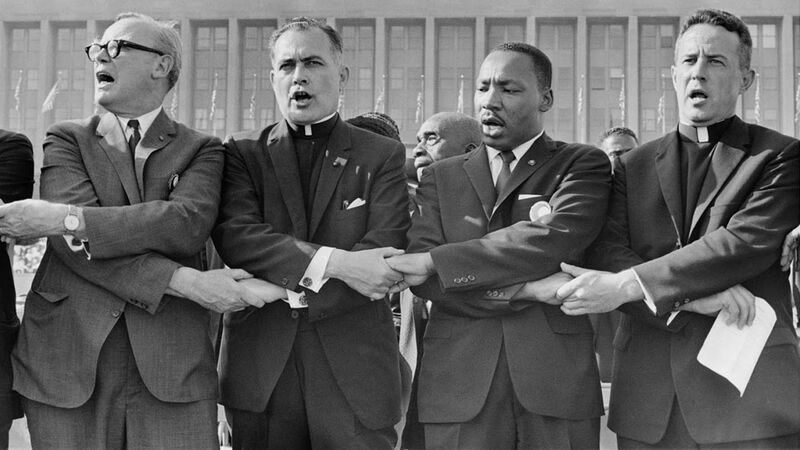 Father Hesburgh stood up to Presidents whenever necessary and stood together with Martin Luther King for civil rights. He ministered to those in poverty and to those in need every chance he could. Father Ted never gave a second thought about preaching truth to power – it helped to define who he was. We marked 50 years last July since he linked arms with Martin Luther King, Jr. in Soldier Field in Chicago, singing “We Shall Overcome” when others turned down the invitation to be there. Father Ted believed in doing what was right, not what was easy. I will travel to Selma for the 50th anniversary of the start of the marches there next week, and I will take Father Ted’s example with me on that journey. He expected doing what is right and not what is easy or popular from his students, as well. He had a big heart and he wanted his students to do their best – but a lack of effort was never an acceptable way of doing business with Father Ted. As a student, I remember seeing his light on in his little dorm room with his iron cot at midnight or 2 am, and every student there knew that meant Father Ted was “open for business”. Students would stop by and seek a comforting word if a parent had just passed away, or when worried about how am I ever going to be able to pay the next tuition bill, or when they looked at their grade point and said how am I ever going to be here for other reasons next semester, or if they had personal heartbreaks. Father Ted was there for all of us to talk with. He wanted every student to know they were loved and cared about and special – just like the cooks and the gardeners and the professors and the people of Notre Dame he went up to, shook hands with, smiled at, and gave encouragement to every day. God bless you, Father Ted. I would never be here in the United States Senate without your kindness and example – and there are Domers, as Notre Dame students are known, all over the world who know that you helped give them the chance to open doors and to be given opportunities and to have a better life that never would have happened without you. There is a saying on the door of the Sacred Heart Basilica at the University. It says “God, Country, Notre Dame”. Father Hesburgh lived that every day.